With a Terrible Fate is in the process of releasing articles detailing the arguments of our presentation at PAX Australia 2016 on horror storytelling in video games. 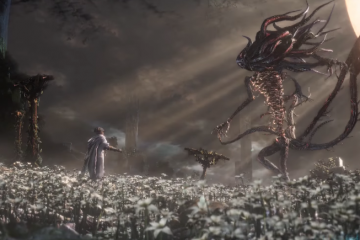 I’ve already released an article on the horror of Bloodborne, which I discussed at PAX; now, I’m returning to Majora’s Mask to discuss the metaphysical and metaethical details of the game that make it more horrifying than you might first think. A word of background before we get started: before With a Terrible Fate became a central hub for rigorous video game analysis and theory, I began the site as a project in which I analyzed Majora’s Mask for three months leading up to the release of Majora’s Mask 3D, in an effort to defend my claim that Majora’s Mask is one of the most significant pieces of art in modern times. So, what I say here condenses various theses that I defend at length in that much larger body of work. If you’re interested in reading my comprehensive work on Majora’s Mask, you can find the entire library here.  I’ll also link to articles from the library as they become relevant in this article. With that in mind, let’s return to Termina and talk about what makes it far scarier than Creepypasta, fan videos, Gibdos, or nearly anything else. In keeping with the format of my PAX Aus presentation, I’ll first argue that there is no metaethical grounding for a hero’s quest in Termina. I’ll then turn to the iterative-timeline structure of Link’s journey through Termina, and argue that Termina cannot every truly be saved in the way the game suggests. 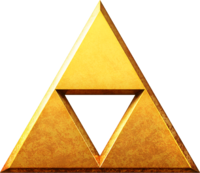 Perhaps the most recognizable image from the Legend of Zelda series is the Triforce: a sacred object derived from the three Goddesses who created the world of Hyrule. Each of the three triangles represents a different virtue: Power, Wisdom, and Courage. These are the virtues that created the world and that ground its goodness, metaphysically. 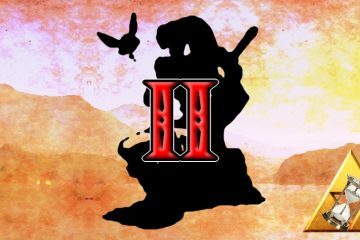 They are also traditionally represented by the individuals in whom one of the three virtues is manifested: typically Ganondorf (Power), Zelda (Wisdom), and Link (Courage). The harmony of these virtues grounds order in the world and safeguards against chaos. Ganondorf, bearer of the Triforce of Power. Zelda, bearer of the Triforce of Wisdom. Link, bearer of the Triforce of Courage. The heroism of Zelda quests is almost categorically grounded in restoring order to the world by restoring balance to the Triforce. Consider, for instance, the story of Ocarina of Time: Link must take up his fated role as the Hero of Time and bearer of the Triforce of Courage by uniting with Zelda, bearer of the Triforce of Wisdom, in order to defeat Ganondorf, the “Great King of Evil,” thereby preventing him from taking over the world and throwing it into chaos. This is fairly typical of Zelda games: Link’s quest against evil is grounded in restoring order to the Triforce. The first thing to notice about Majora’s Mask, then, is that there is no mention of the Triforce at all in the game. 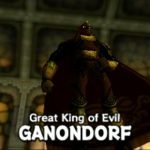 There is no mention of Link as bearer of the Triforce of Courage, nor is there any “Great King of Evil,” nor–despite this being a “Legend of Zelda” game–is Zelda present at all, except for one flashback of dubious ontological status (you can read more about that problem here). Given that Majora’s Mask is supposed to be the direct sequel to Ocarina of Time, it’s pretty remarkable that the entire metaphysical basis for moral facts in the universe is glaringly absent from Termina. The Salesman sets you on a fetch quest. The Salesman encourages Link and the player. It’s easy to take the Salesman at face value here, but I think another analysis better explains the data of the overall game and world of Termina: namely, the Salesman is imposing an artifice of morality upon Termina and Majora’s Mask in order to motivate Link and the player to get his mask back for him. For at this point in the game, Link has already failed once to complete the Salesman’s fetch quest; thus it seems reasonable that the Salesman would seek to further motivate Link to complete the task. An easy way to do this is to suggest that the mask is endowed with evil power and thus must be recovered in order to prevent something terrible from happening. Combined with the observation that there is no obvious Triforce-analogue grounding morality within Termina, it seems plausible that the appearance of evil in Majora’s Mask is just that: mere appearance, rather than something evil in a metaphysically deep sense. Moreover, the Happy Mask Salesman as an entity seems to be in just the right position to impose an “apparent morality” on Termina–this is what I call ‘moral artifice’, or moral dimension that lacks metaphysical grounding in a world, imposed by an external source. For the Happy Mask Salesman himself doesn’t really exist within Termina; rather, I think it makes sense to consider him as metaphysically adjacent to Termina: he exists externally to Termina but is poised to influenced and interface with the world in a variety of ways. Inside the Clock Tower, where the Salesman resides, time does not flow, as it does in the rest of Termina. Moreover, it is implied that the Salesman effectively has comprehensive knowledge of Termina–without ever leaving the innards of the Clock Tower, he knows the origin and ontology of every mask Link acquires throughout the game, including masks that Link creates by healing fallen heroes (he describes the origins of these masks in vivid detail if Link speaks to him while wearing the masks). Moreover, he is the one who imparts to Link the Song of Healing, which allows Link to drastically change the structure of Termina by converting spirits into masks. This is the song that is described as healing “evil and troubled spirits”–again, the concept of evil is fundamentally introduced into the game by the Happy Mask Salesman. So it seems that even when we see evil at work in Termina, this is only the case because the Salesman is coloring the world this way for us. Again, there is no Triforce or heroic destiny guiding us here–we are left with only the guidance of a disarmingly smiling Salesman in pursuit of a fetch quest. The final confrontation against Majora’s Forms. 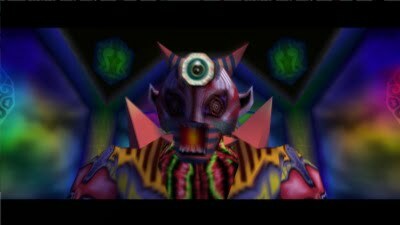 If the above metaphysical considerations haven’t convinced you that there’s no basis for morality within Termina, then I invite you, lastly, to consider how the game treats morality in its ultimate confrontation: Majora’s Forms versus the Fierce Deity. 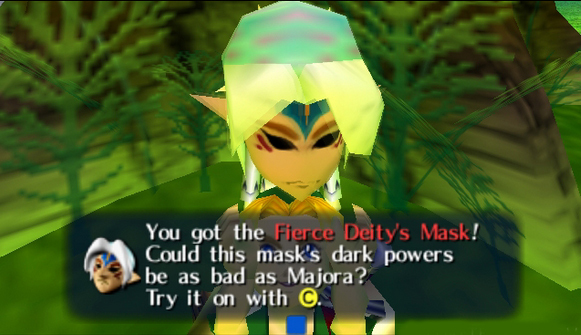 Though the player needn’t acquire and use the Fierce Deity’s Mask to defeat Majora’s Forms, the game implies that this is the “proper” way to complete the narrative: the Mask is only available once the player has acquired all other masks in the game, at which point they must give those masks away to the various Moon Children with whom Link can play hide-and-seek before facing Majora’s Forms. At that point, Link can speak to the Moon Child wearing Majora’s Mask, who, noting that Link doesn’t have any masks left, says that they can instead play “good guys against bad guys,” and tells Link that Link is the bad guy in the game. He gives Link the Fierce Deity’s Mask, which, again, is described as a mask with dark powers that could be as bad as Majora. Link receiving the Fierce Deity’s Mask. 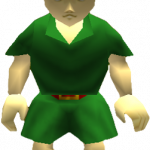 In the final confrontation of the game, Link isn’t framed as a destined hero battling the Great King of Evil: he’s framed as a child playing the role of a villain in a game of good-and-evil. Moreover, the Fierce Deity’s Mask effectively turns the game’s final boss fight into “child’s play”: Majora’s Forms as frankly pathetic when faced with the Fierce Deity’s Mask, and it is trivial for the player to massacre a final boss that is quite challenging when faced without the Fierce Deity’s Mask. So the final battle isn’t a moment of heroism; rather, it’s a game in which Link takes on a mercilessly evil role. If we think that good and evil really have a metaphysical basis in Termina, it’s not clear how to make sense of this confrontation, nor is it clear how to make sense of Link’s relationship to the Fierce Deity’s Mask more generally; on the other hand, armed with our thesis that Termina lacks real moral grounding, this final battle is a poignant accent on the fact that the universe refuses to acknowledge Link and the player’s quest as morally significant. If we accept the above arguments, then I think we already have ample reason to see Majora’s Mask as deeply horrifying, especially when we consider the game’s status as the sequel to Ocarina of Time. 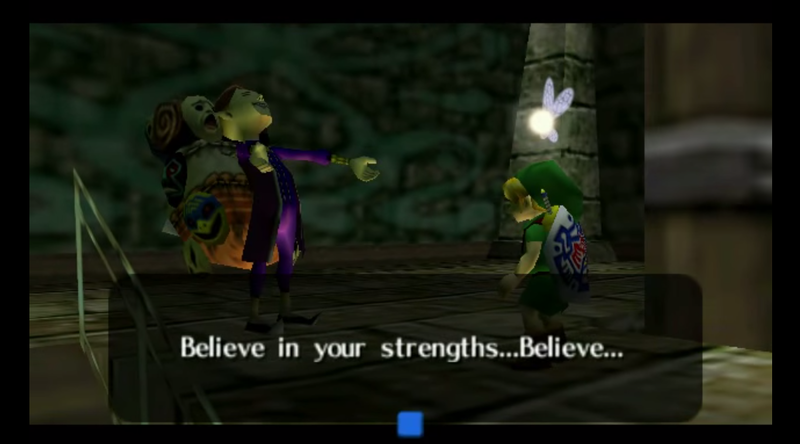 The player, having defeated the evil Ganondorf on Link the Hero’s destined quest in Ocarina, expects the same sort of heroism and triumph of goodness over evil in Majora’s Mask. The Happy Mask Salesman even assures them that they are right to expect this sort of heroism and goodness in their quest–he does this by imposing a moral artifice upon the world of Termina for the player and Link. Yet, over the course of the game, the player slowly discovers that there is no moral foundation for Link’s quest: there is no Triforce, no heroism, and no reason to believe that Link is doing something inherently good in his quest. And so the player is forced to confront the question: just what is the purpose of Link’s quest, as he goes to such lengths to fetch a mask for a Mask Salesman? The more the player looks for an ethical justification in Termina, the more it eludes her–and the loss of this basis for Link’s quest is a fearsome thing indeed. 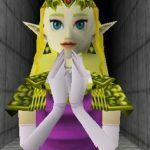 In fact–despite this view being “against Zelda canon”–I think the scariest thing to emerge from this metaethical analysis is the implication that the Link of Majora’s Mask isn’t the same Hero of Time whom we encountered in Ocarina of Time. This strikes me as the best explanation of Majora-Link’s not possessing the Triforce of Courage, of ultimately donning the form of a dark god (the Fierce Deity), and generally bearing no relation to destiny in the way that Ocarina-Link did (you can read more about this here, and about how Majora Mask’s flashback to Zelda fits into this analysis here). So on my view, the deepest horror to be found here is just this: the player steps into Majora’s Mask expecting a classic tale of Zelda heroism, and slowly discovers that they literally aren’t controlling the hero that they thought they were. 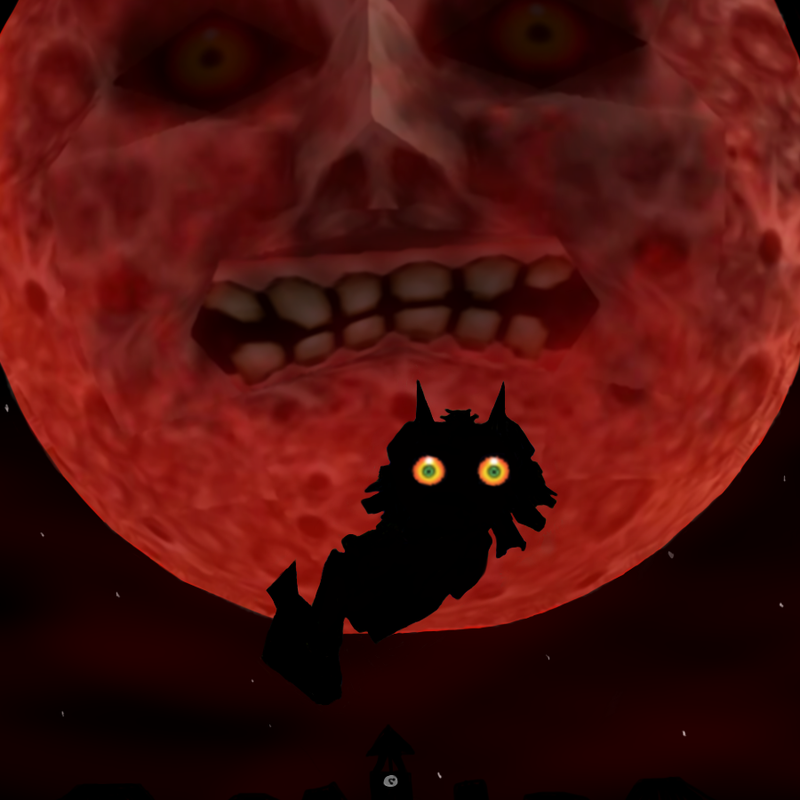 It is this profound alienation that makes the playing of Majora’s Mask a terrifying experience. Even if we agree that there’s no foundation for morality within Termina, we might still think that the player and Link can achieve something meaningful by “saving” Termina from the moon falling on Clock Town and the rest of the world. However, I think that trying to make sense of the game in this way just invites further horror, as we discover that Termina isn’t the kind of world that can be saved: rather, it is a world that is fundamentally doomed, and Link cannot change this fact. I’ll defend this claim in three parts: first, I’ll argue that Termina depends on Link for its existence; then, I’ll argue that Termina is constrained to three-day timelines; lastly, I’ll argue that the timelines of Termina are endlessly iterative. From these arguments, a picture emerges of Termina as a world that truly is Termina: though Link can participate in the world, he cannot save it from its doomed state. Termina is a strikingly unusual video game world, and only because time in the world constantly counts down towards the apocalypse: events in Termina also happen in an unusual way. The best way to see this is to consider the puzzle of the Zora hero Mikau, who tragically dies during the course of the game (I case that I explore in detail here). When Link arrives at the Great Bay, he sees Mikau dying in the water: the player must bring him to shore and use the Song of Healing to convert his spirit into a mask as he dies–and then Link buries him, in one of the most poignant and jarring moments of the series. There are many things to say about this moment, and I’ve written much about it in the past; for our purposes, however, we just need to think about one surprising puzzle that emerges from this event: what was the status of Mikau in timelines before Link arrived at the Great Bay? By the time Link arrives at Great Bay, he has already traveled through multiple three-day cycles of Termina; presumably, we would want to say that Mikau still existed in those timelines prior to Link discovering him in the water. Yet the state in which Mikau existed in these prior timelines is not at all clear. Certainly he is not dead: he only dies once Link encounters him. Yet it also doesn’t seem quite right to say Mikau is alive and well in previous timelines, for he dies as soon as Link encounters him: we know he is dying and can’t survive the three days. So it seems as if we have to say that he is in an indeterminate state of being neither dead nor alive, but rather in a state of dying, suspended there until Link encounters him and he truly dies. I think the conclusion to which considerations such as the above lead us is that the world of Termina actually depends on Link encountering it in order to exist. Beyond Mikau, we can also see (for example) that time doesn’t actually pass in Termina except when Link is there: when he enters the inside of the Clock Tower, time in Termina freezes until he exits into Clock Town. Generally speaking, the progression and instantiation of events in Termina do not proceed without Link. If you like, it wouldn’t be far off the mark to say that Termina is “solipsistic” with regards to Link. 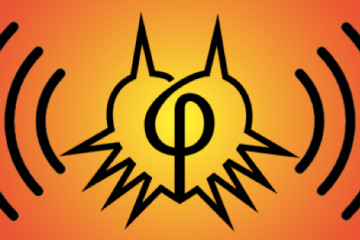 The existential dependence of Termina on Link doesn’t alone simply anything obvious about whether or not Termina can be saved; however, a clearer and scarier picture of these implications emerges when we consider this dependence relation together with the iterative-timeline metaphysics of Majora’s Mask. Link bringing about a new timeline in Termina. It seems clear to me that Link and the player progress through the game’s storyline by instantiating new timelines each time he plays the Song of Time. I detail this argument here, but the general thought is just this: Link clearly doesn’t reset the universe of Termina each time he plays the Song of Time, as various states of affairs throughout the world can change each time. Mikau, again, is an example: once Link sees Mikau die, he does not appear again even after Link plays the Song of Time. Link also retains the masks he acquires even when he plays the Song of Time. Thus I think that the best explanation of the Song of Time is that it allows Link to effectively abandon the timeline of Termina in which he’s currently situated, and travel to a new timeline that is linked to the most recently abandoned timeline by what I call ‘temporal afterimages’–metaphysical remnants of earlier, alternate timelines. As an aside: this notion of temporal afterimagery, I think, has broader applicability in the series: even when Link alters time, the inhabitants of whatever new timeline he brings about seem to have “remnant” memories of previous timelines; again, the Zelda flashback in Majora’s Mask is a prime example of this. 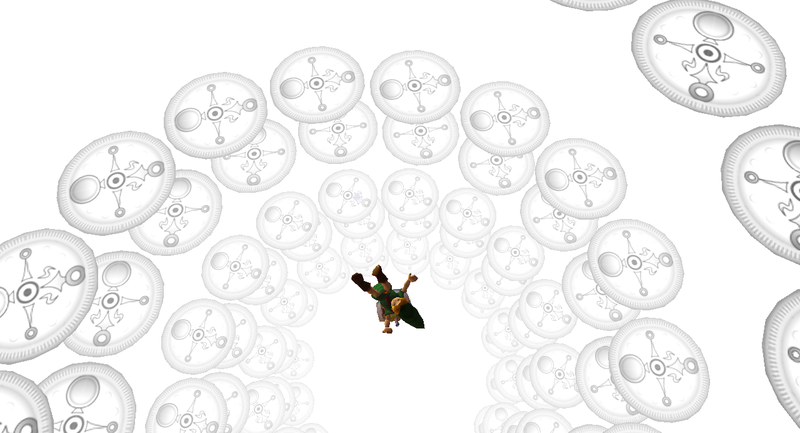 With a metaphysical picture in view of Link’s journey through Termina as bringing about increasingly more timelines as the game progresses, we can better understand the implications of Termina’s existential dependence on Link: Link only ever encounters Termina as three-day timelines, bounded by his arrival on one hand and the apocalypse on the other hand; thus, if Termina’s existence really does depend on Link, then Termina itself seems metaphysically constrained to Link’s arrival and its apocalypse. There seems to be no broader existence of the world that Link can fight to preserve. But, you might now object, this is clearly false: if you beat the game, then we very clearly see that Link has saved Termina, once and for all; thus, there is a greater existence to the world that Link can fight to preserve. Yet I think we have every reason to doubt this, and to take this ending to the game instead as a case of unreliable narration (about which you can read in more detail here). For one thing, the ending doesn’t make much sense with regard to the overall narrative. We know that Link cannot save everyone in Termina over the course of a single timeline, yet the ending “victory” scene of the game implies this sort of success, with everyone in the world happy. And, even more pressingly, the game itself implies that the perpetuation of doomed Termina timelines persists after the end of the game. We can see this because there are certain events that the player can only bring about after she instantiates a new timeline in Termina after beating the game. For example, one of the functions of the Fierce Deity’s Mask is to allow Link to transform into the Fierce Deity during the four Giant boss battles in the game; and, since Link only gets the Fierce Deity’s Mask during the final battle of the game, he must go back and bring about another doomed timeline to use the mask in this way. 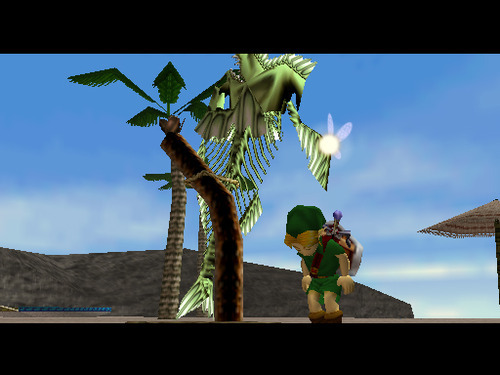 Notice how starkly the above vision of Termina contrasts with the world of Ocarina of Time: it is not possible to “continue” in Hyrule after defeating Ganon; the game simply proclaims that the game has ended, and, if the player reloads her save file, she returns to wherever her last save was before defeating Ganon. Termina could just as easily “conclude” if Link were able to really save it; yet the very fact that the player can return to Termina and bring about further doomed timelines even after beating Majora’s Forms suggests that there is no way to truly overcome Termina’s doomed fate. Though we might initially trust the game in telling us that Link can save Termina, the metaphysics of the world tell us otherwise: beyond the metaethical nihilism of the world, it is not even possible for Link to end the apocalyptic timeline cycle of the world. Termina, as the name suggests, is inherently terminal: it should fill the player with horror to realize that they are engaged in a Sisyphean struggle to save a world that literally cannot be saved. As we reflect on the overall horror of Majora’s Mask, it’s useful to contrast Kaepora Gaebora, the owl and sage whom Link encounter in Ocarina of Time, with Kaepora Gaebora, the owl whom Link encounters in Majora’s Mask (I study the owl in more detail here). In Ocarina, Kaepora Gaebora is a manifestation of the sage Rauru, who guides Link on his quest to defeat Ganondorf. Kaepora Gaebora inundates Link with the message that he is the Hero of Time, and that it is his destiny to travel through time to defeat Ganondorf. He repeatedly emphasizes what I said above: the Link of Ocarina is an agent of goodness and courage who will ultimately save Hyrule. The Kaepora Gaebora of Majora’s Mask is virtually antithetical to his Ocarina of Time counterpart. He constantly treats Link as an intruder in a world that he describes as “destined to fade,” and offers to help Link only if he has “the courage and determination to proceed in the face of destiny.” Rather than Link being destined to save the world, Link is fighting to save a world that is designed to be destroyed. 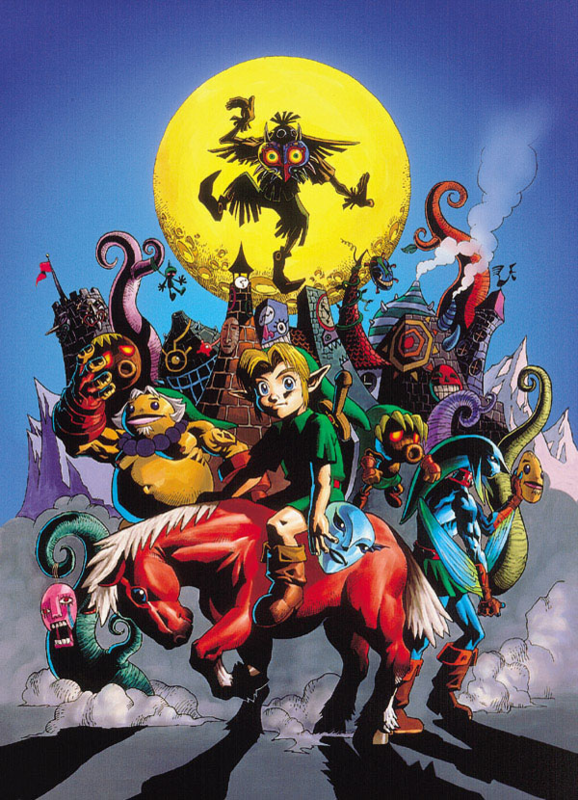 This in essence, captures the horror of Majora’s Mask: at every turn, the player expects to be able to do the right thing, and to save the world; yet, at every turn, the game denies the player the ability to find any moral justification for her actions, along with any possibility of truly saving the world. Without this foundation for making meaning out of Link’s journey, the player is left to make up some form of alternative meaning for the journey through Majora’s Mask. If you read my full analysis, you’ll see that I actually do think this is possible, and that the player can ultimately be a positive and meaningful force in the world of the game–but this is only possible once she overcomes the initial horror of the game, a horror which you’d be hard-pressed to overstate.